"Great for learning all tech skills"
I love this company. They make it incredibly easy for me to stay up to date on all of the skills I need to run my business. I love that I am able to assess my skills and then learn what I need to focus on in my learning. I also love how I can watch trainings on my TV, phone, or computer. It really makes it easy to learn on the go. The instructors are well educated, and the paths are organized in a way that makes it easy to learn any skill whether you are a beginner or an advanced user. The only thing I wish Pluralsight offered more of is audio production paths. Podcasting is a growing industry and their podcasting path is a little dated. Definitely do it! If you're interested in growing your skillset in any tech industry you need this program! Pluralsight is helping me stay up to date on all of the skills I need to know as a graphic designer. If I am having trouble with a certain aspect of my business or the software I use, I head over to Pluralsight to brush up on my skills. They make is so easy to access the courses I need. The video courses were OK at best. realistically more towards mediocre. My employee was studying for some Microsoft certs and others and he found the youtube videos regarding the same areas better towards the exams as well and real life usage. I liked the fact I could download the videos to my phone to watch later. If you downloaded the video to watch later and started a 45 minute video and paused it part way through and had to come back to it later the video started at the beginning. Dont bother buying their services way easier, more informative to just use youtube or some other service. Customer service is terrible and not helpful. I will never purchase their product again. "A pricey option, but lots of resources and features in one place"
The amount of courses available and scalability. Our people are on a variety of projects and always using new technologies, so it's nice to have a big library of courses in one place. The search is very inclusive, so you can be pretty vague and find something relevant fairly easily. Lack of ability to know what the best video is for the topic I'm researching. It'd be nice to have certified videos, since right now you just have to go off of the most watched or what the rating was. Could be nice to have certified videos for certain topics. Is also very expensive to have licenses for people when they only use it for a few days out of the year. Would be nice if we could pay by consumption. Make sure they have all the content you need. People will use it like anything else available to them, so there's no point in paying for something if your employees can get it for free elsewhere. Our employees use it as an option, but not more than anything else they have access to. Providing mini courses for employees when they are between projects or need to ramp up on a new technology. Our employees are going to this as a learning resource, like youtube videos or training webinars. It's nice to have one place with a lot of different topics. We mainly use it for one off videos and not as much for paths or courses. "Worth to spend Money and Time"
3. Authors are very interactive even with the pre recorded course contents. 2. If we can have multiple currency acceptable for the payment it would be useful for other country students and professionals as well. 3. It has lot of things in the same place. Some times that is also little confusing when comes to students. But the professionals will understand in most of the time. 1. We have faced lot of issues with the Accessibility issues in our current product. After I took the accessibility course from the Pluralsight I could fix most of the issues in the short period of time..
3. When I show this to my friends and explained the pros and cons of the system they never mind about the cons after seeing the course content and they agree to get the license for themselves. "Best place to hone the Technical Skill for all level subscriber"
The huge bunch of the course that provide the clear and efficient tutorials for all the categories subscriber. This site is not only ment for the developer but it also helpful for those enthusiastic learner who want to learn about the Human resources, Devops, Management. Pluralsight is highly recommend for the beginner to kick start with the learning and understand the basic building blocks of the course that has been opt by the candidate. The learning path is just an amazing concept which is been introduced by the Pluralsight by which user will not loose the focus on the learning. This site fill the gap between the learning and understanding. I personally found some of the courses that is too lengthy and some of the contents are repeatedly explained, which is not required to be very time consuming. And in the some of the programming video tutorial some of the code snippets are copy pasted from nowhere. this creates a lot of confusion while following the course because learner will never know the existence of the code and the purpose of the code snippet that has been pasted. Because most of the code's will have some dependency which may vary from version to version. And finally my personal opinion is Pluralsight courses are bit expensive comparatively some other course providers which is available in the market. Pluralsight showed me the best practice to learn, understand and to build the complex application very effectively. And many concept which i understood wrongly and i corrected those mistake after following the course. Angular course by john papa, debhroh and bunker. Spring boot and spring cloud was awesome. and recently listened pluralsight live and its awesome to hear from best people. the angular course from pluralsight make my carrier. Just started with docker and the path on specific technology is awesome. Need to cover more spring framework and it would have helped me much in my work i'am using . Less course on java related framework like hibernate, spring boot, spring cloud. Please provide more course on spring framework. yes, Its awesome. I've refereed this to too many friends and they too loved it a lot and learnt more from this. It would be nice if we can manage many different profiles so we can share it. Angular i learnt whole from pluralsight. it though in every area. and i found good content and it all i work is from pluralsight course. trending technologies and specific path on technologies are awesome and it helps in covering each and every path. "I simply wouldn't know as much without PluralSight"
the combination of know how video's, questions that are available to asses your knowledge and the overwelming amount of technologies and skills you can learn! PluralSight can be used on tablet, computer and mobile device as well and keeps good track of were you left, so one can easily pick up and continue learning. Nothing at all! PluralSight provide so many technologies in one screen. It is an enormous source of knowledge i only could dream of a couple of years ago! Use PluralSight or stay behind! Here you can learn all the things you aught to know, you need to know and wat you always wanted to know. I;m a systems engineer at my company and solve various problems in the environment, with software or computers. I now have knowledge of various technologies i have learnd with PluralSight my manager lets me do more complicated projects. "Exited to provide access to relevant tech courses to our staff"
I like the content of the tech courses provided by Pluralsight. And recently, I like the roleIQ. Although we have only started to use this function, I consider it will provide a tremendous benefit when trying to assess our skills gaps, and identify opportunities for our users to improved their knowledge, as well as keep up with the latest trends. I know that we can download the Analytics data in a CSV format. But, I would also like to download a PDF version of the online report. I'm referring to the one that shows the overview of all users, with the possibility to filter and sort by the Last Activity, Unique Courses and View Time. I sometimes find myself capturing a screen shot by the organization team, so that Team Managers can view it. Perhaps they can view it directly if they log in, but I'm trying to promote the usage of the Analytics to the Team Managers and they are currently not very keen to do so. Or maybe there is another way to do this, but I have not found it yet. I would definately contact their Account Managers. They are very accessible, and very willing to provide support, advice and resources for the rollout, and they continue to follow-up with you. It gives a feeling that you are important as a client. First of all, I consider the main benefit is having the course content. I think the content is relevant to our internal demand for up-to-date tech courses. Second, I have found that there are available paths, or kind of road maps for several topics. I personally benefited from this. We are aiming to identify and bridge the technical skills gap using Pluralsight. "Nice tutorials very helpful for NodeJs, Spark and React." The best I like in plural sight is the cources differentiation/grouping based on the difficulty. Which helps to choose the cource that best describes us. The best couse in pluralsight that I like the most is React Redux with v16. Before starting the course, I really had difficulties in understanding the frontend because, I’m a backend person. But, even thought the course says the moderate difficulty. I was able to understand and do all the basic web pages in react and in fact, I have my own resume profile built in React utilizing the knowledge from this course. I would recommend this. Its better than other competitive platforms like Linux acadamy, udemy, coursera or acloud.guru. I tried to solve how to process a terabyte of data using spark, learning from plural sight. Managed to create successful pipeline based on the knowledge gained from pluralsight. "One of the best ways to quickly get up to speed with the latest development related technologies"
How knowledgeable the presenters are. They give you insight into specific technologies that are cutting edge and show you best practices so you can immediately be productive. Many times I have went from zero knowledge on a specific subject or technology to feeling very confident with that same technology just by going through a single course. You wont regret it for a minute! Building software that adds business value. Pluralsight is always my go to for quickly getting up to speed on any specific technology. I have not gone without a subscription since I learned about it over 5 years ago and even, required the last company I worked for to provide it to the employees as part of my job offer. The tools that Pluralsight provides are invaluable to me as a Software Developer and I recommend Pluralsight to other developers on a regular basis. I am a visual learner so for me it is a great fit. I also loved the roll out of Roll IQ and Skill IQ, so I can have better a measurement for my current level and where I want to go. I love the variety of content. Even the content not specific to my job. I know this learning platform will just get better and better with time. I've not yet found anything I dislike. Pluralsight has exceeded my expectations! If I were to have anything to mention, it would be that I wish I had access to Pluralsight years ago. It would have been so much easier to change careers with this kind of education at my fingertips. Make Pluralsight available to all employees. You will never know which user will take this education and grow beyond your imagination. You will empower them and as a result strengthen & grow your company through your people from the inside. I am a entry level Data Analyst and I felt It may be very difficult to learn some of the IT languages and skills needed. With PluralSight as a learning partner I now feel empowered to reach my business goals. It is my desire to be a developer and I know with this learning platform I will indeed reach my goal. I also now realize what has been missing in my learning in the past. This far exceeds anything I have had access to. I like the format where presenters walk you through the code. This is helpful for new content. The layout of the content allows a person to select those areas that they're interested in for topics that they're familiar with. I don't like when I follow through the example and don't get the same results. This happened while learning C#. Pluralsight offers a good variety of subjects and skill levels for beginners and professionals. The latest format includes development paths that are helpful for those with specific goals. Whether you're learning, looking for insight, or refreshing rarely used skills, Pluralsight has most needs covered. The benefits of any learning tool are that a professional can keep in practice and exercise their mind and understanding of the subject as well as develop in other areas that they don't regularly work in. Some courses are a little outdated and some professors are not as good at explaining and articulating concepts. Also, if you are following along with certain technical courses like Python or HTML, some professors don't teach you how to set up your own "station" and so it is difficult to follow along with their course. Helped in learning about certain methodologies like Agile and Scrum. Helpful in learning key concepts for business analysts and project managers. Up-skill your knowledge to the fullest by using this tool/platform. Almost every courses are available in terms of Technology is concerned. We are glad our company has tie up with this and provided access to this huge data collection. Session are very interesting and assignments are very nicely created. I'm still not sure there are any dislikes but as end user perspective it will be expensive to get license for this which I heard but personally never face this as my company has already tie up with pluralsight. NON IT courses are limited as compare to other online training providers like udemy. If you don't have plural sight access at your company kindly ask or raise this concern as this is real need and very nice collection which you shouldn't miss at any cost. We have separate goal for this and we have to complete 2 training in month apart from our daily work. Enroll now and explore to the fullest for your personal and professional growth. I have explored many things beyond I had think when I started learning. this is real beauty and everybody should start using it. countless benefits which I can tell you. This is real need in IT. I really like the gamification and the tests at the beginning so more advanced users aren't repeating knowledge and beginners can start at the very beginning. I also like seeing how the skills match up with others. Also I think the UI and appearance of the portals are very good as well as the content. Pluralsight does a great job with authoring great courses. I wish their were more courses offered, I know this is very hard-tech oriented but I would like to see more courses in instructional design like Camtasia, Captivate etc. Some of the courses are a bit out of date which can be frustrating for a new user. Do it! It isn't pricey and it meets our needs. Check the course catalogs before signing up to make sure the courses will satisfy your requirements. Best in the industry, no doubt. Also, I go to school in the area and while this isn't a huge consideration, I would love to work at Pluralsight and the company is definitely a solid one, both in the industry and in the local community. I am helping my company provide training on new and current software without utilizing current staff. Also if we get a new tool, utilizing the training would be an asset to get the organization on the same page without arduous workshops. "I could find all the courses related to linux and python"
I like the categorization and description of topics , it is done in correct flow to understand the content. Another best feature is to download the content directly to the mobile device which helped me to gain the access anywhere even when I am travelling and used the time efficiently. Some of the topics , the presenter , I feel dragged little which is essentially not required keeping the worth of that topic in mind. no. The Linux and AWS courses are very much on which I depended a lot for learning. "Broad and quality technological training"
It has a fairly large number of courses and resources. When you have several projects within a company as it is our case, it is always good to continue training in new technologies and to know any novelty in terms of software or programming languages and Pluralsight has a great variety in both senses. The authors and creators of courses are quite competent and the design of both the interface and the courses themselves is well structured. When you start a new course you have all the material well defined and it becomes quite comfortable and easy to follow. Having so many materials and resources available can be a bit confusing the first time you enter the platform. I think they should present it in a more simple way because at the beginning it overwhelms the amount of content, although later, it is true that once you know how the system works, you understand everything better. In some courses I have noticed that they are very long and explain things in a redudant way, they could reduce the content of some courses and make more sensible explanations without losing quality. Expanding training in a company is always something important, as it will improve the quality of your projects and the knowledge of your employees so that their jobs are better. Plurasight is a good source of knowledge for any company in the technology area. We have managed to improve our technical skills through some programming courses, which has helped us to carry out projects within our company with more depth and quality. As there is a wide variety of technology courses in general, it has served to increase the knowledge of different areas of our company, in addition, we can follow and access them whenever we want. This ease of access allows us to have no limits when it comes to being able to follow a deferred course when we have time available, which allows us to invest time in the work of the company and then continue with the training courses in Plurasight when we have time. "One stop for all the quality content on the most relevant topics." The courses are very well structured. The quality of content is very good. Discovery of topics that I want to learn was very good, was quickly able to find the content that I want to learn along with the topics that I would need to complete in order to master that particular skill. Accessibility is also very good, starting from laptop and being able to continue from my mobile device is awesome. Some courses have old content, there are tools which newer versions in market along with new features. If the content is old we might miss out on the new feature the tool has to offer. Automating tasks in my organization. "Best e-learning platform for tech professionals on the market"
There are pathways in popular skills that make it easy for users to find the courses relevant to their learning goals. After you have completed some of the courses, you can gauge your proficiency using their platform which puts you in a 'level', which you can then use to watch courses that match your proficiency. There are always new courses added to their catalog, and if there is one instructor you don't care for there are usually other courses at the same level of difficulty for popular skills. Our license in particular is very user-pricing oriented, and since not everyone will be actively using a license at all times, we have to regularly switch out users. Additionally, the platform could use more interactive learning methods like codecademy and others that have sandbox environments where you can experiment and be tested on the skills you learn. Definitely use this if you have a lot of technical employees and want them to stay educated on the latest technologies in their field. Tech is constantly changing, so it is important for tech professionals to always be learning and staying on top of the latest technologies. Whether you are an engineer or an analyst, business professional, or creative professional, this can be a very valuable education resource for them. Pluralsight is a cost-effective way for our company to provide education and training on valuable technical skills in the company. It is most popularly used by our engineers and analysts to learn popular programming languages and concepts, as well as new data science best practices. This provides an easy way to invest in your employees and train them without too much of a capital investment. My favorite thing about this educational platform is that you can pick the courses that best interest you and your skill set. It has a ton of options to choose from. My least favorite part would have to be the design of the platform, it's not as user friendly as other educational apps. I also wish they a learn as you go type of feature, where you can take quizzes while you learn to retain information. I would suggest people to definitely check it out, it has a ton of educational courses that will help your employees grow through their careers. It's definitely worth the money!! I'm furthering my skill set with Pluralsight to become a more rounded marketer through this platform. Pluralsight has enhanced my knowledge on a wide range of topics. "This was a professional and fun experience learning here." The quality of videos and the speakers were very good. I mean knowledge and teaching wise. They explained everything in the easiest way possible which means globally people can opt these courses and this platform which is quite an achievement. And i still learning many things from your portal. It is not as i dislike something but there should be test after each module. So there is nothing to dislike here. Everything works just fine except very few times i felt difficulty in login in it. There should be a test after each module and the scores of test will be checked and gives ranking based on that. And after that the user should be suggested on what he or she has to focus more so that the rank and score should be increased. And suggest courses based on that and you can use ML algorithms for this. I am not solving any business problem right now but it is very useful in my learning. Learning has countless benefits. Although in future i may be able to solve many problems using the skills that i learned using plural sight platform. Benefits that i am going with the pace, the same pace which with the technology is changing and i am glad that i am able to learn many new latest technologies using this plural sight platform. This platform is really awesome and really very cool. "One stop platform for all your learning needs"
What I like most on Pluralsight is the variety of topics covered for all sorts of technical needs. You think of a topic to learn, and you will find a course here. What makes it better is the paths created for all technical goals and the training programs categorized for you as Beginner, Intermediate and Advanced, so that you can pick up based on your skill level. Also, introduction of Skill IQ measure tells you where you stand! I would love to see topics at more advanced level. Also, apart from gaining theoritical knowledge, it would be great to have inbuilt platform to have hands-on experience. Also, it would be fair to somehow add lab experience (by introducing online editor) so that we do not have to look at some other online editor and do all our hands on exercises here only. This is a great platform for all learning needs. I have always thought of PluralSight as my first stop to find a course for improving my skills. Thanks a lot and keep doing best! What makes it better is the paths created for all technical goals and the training programs categorized for you as Beginner, Intermediate and Advanced, so that you can pick up based on your skill level. Also, introduction of Skill IQ measure tells you where you stand! I use Pluralsight to improve my technical skills and to learn more about new technologies. Also, we use Pluralsight as eLearning content through our corporate learning portal. I have definitely improced my technical skills, thanks to wide variety of topics covered through the PluralSight platform. Always finding the right way to deliver it to extend my knowledge, while using an unified interface for this. Always finding the right content to extend my knowledge, while using an unified interface for this. Great job! Always finding the right content to extend my knowledge, while using an unified interface for this. easier to gather access to information, SSO login, lways finding the right content to extend my knowledge, while using an unified interface for this.Always finding the right way to deliver it to extend my knowledge, while using an unified interface for this. "Supplemental job training that's also great for college students"
I love to look through all the relevant courses for a skill by reviewing the detailed table of contents for each course. This helps me determine which specific modules of a course I want to listen to. I may listen to an entire course or just the portions I need help on. It's often good to hear two different instructors present the same concept to ensure I understand it thoroughly. Although this site is promoted to working adults to fill skill gaps (or to build new career skills), I have also found it quite helpful as a college course supplement. I'm working on my second bachelor's degree, and the computer science courses are all offered online. This is more challenging than traditional classroom teaching because students must teach much of the material to themselves using the textbooks and material provided by the instructor. I had envisioned that the instructors would record their lectures (similar to MIT Courseware), but in the online program at my university, most instructors provide, little or no video instruction. Since it can be difficult to learn new technical material solely from a textbook, it is incredibly helpful to look up the concepts on Pluralsight and watch the relevant modules/courses to reinforce my understanding. Specifically, it helps to see challenge exercises completed in real time...especially when a step in the textbook is unclear. Many of the technical courses (e.g., programming languages) go through several examples that are not created from scratch. There are many times when it would be helpful to code alongside the instructor. If the instructor has a few "existing" files they will be modifying, all the files should be made available for download to encourage interactive learning. Try out the skill gap analysis and course suggestions. I've been reviewing courses in HTML, CSS, and Visual Basic. I'm an instructional designer, and the main authoring tool our department uses for eLearning was developed in-house. This tool is adequate to create "slides" but the formatting is limited. Since the developers provide the option to customize each slide using HTML and CSS, I have watched courses on these topics on Pluralsight and now use the coding option to wield greater control over the look and feel of my eLearning content! Peers often look at my slides and say, "I didn't think our system could do that!" Then I can show them how to accomplish it by customizing their code. Also, sometimes the authoring tool has a glitch when the user attempts to apply multiple types of formatting to a selection (e.g., Heading 1, with some words in bold, some in italics, and others in a different font). I can easily fix these issues with surgical precision within the code/mark-up window instead of having to wait and request for a developer to fix things on their end (or worse, just giving up and accepting a default design that is less engaging). The main benefits are affordability and well-designed instructional courses. It can be hit-or-miss (mostly the latter) when searching for a quality video on a technical topic on YouTube. Unfortunately, I have trouble understanding non-English accents, and many good videos that are on YouTube are presented by instructors who learned English as a second language. I have to keep rewinding some sections and attempting to read the horrible captions provided, and often I give up and look for another video. But I never struggle to understand the recorded instructors on Pluralsight, who all seem to be native speakers (at least the ones I've seen so far)...and the transcriptions are perfect, so even if there is a new term I'd like to see in writing, I'm confident I can find it in the transcription! Although there s value in higher education (discussion forums, testing, etc. ), I think video learning is more cost effective than university courses, and I can watch the videos multiple times if needed at any time of the day or night. Even if an instructor presents material in a way that doesn't connect with me, I can usually find another instructor who presents in a manner that's better suited to my learning styles and preferences. "Its a wonderful platform to learn almost everything"
The courses are explained in levels like beginner, intermediate and advanced.That part is very good. Not all the courses are present to learn. Some are need to be added. Some courses which are being used in my place are not there which is making me go to some other website to see and learn which is very hard. Use this website to learn about any computer course in depth even from scratch . Even if you don't have any knowledge they will tell you the prerequisites for the course you want to learn and give the guidance needed with that other course. So you can master from fundamentals. I'm learning all the basics for understanding the app and building it to the higher level. This is making to cope up with other experts in a very short time and learn and master the technology which ever we want to learn. This is having very user friendly interface so that we can use it comfortably and regularly. The skill assessment is one more thing through which we can see where we stand in the current tech and where we are lagging and where we are good so that we can see the gaps and then it will show the areas which we need to develop to improve ourselves and provide others to take and observe us to know our level of understanding in that skill. I like the course layout and paths already defined with ability to create custom paths and share with other colleagues easily. There is so much offered in a very wide area from sales to technical and specialized course options that are designed to help the student obtain the related CERT. What's even better is the ability to download the app on mobile phone and keep the studying going on the go. There isn't much that I don't like about Pluralsight as it offers so much already. I think it would be to offer a more advanced search option as there are so many courses available that it can get a little overwhelming when trying to review all the various options available and trying to figure out which is best for your specific needs. With the growing popularity of Python and Mobile automation, I would like to see more courses in this area. This was offered to me through my employer and I am so grateful to have access to such a great learning tool. The biggest benefit I see is just the wide variety of offerings Pluralsight has. "Great tool with lots of resources on many different topics"
I like the content variety available on the site for learning and skill development. There's courses from everything including Microsoft Server and SQL to technologies like Citrix and the deployment practices to be successful there. Right now I'm particularly happy with the Citrix deployment courses - there's tons of great content and the instructors who record it are passionate and interesting. Pluralsight courses, in my experience, are not those boring monotone recordings. They actually have people who care and are genuinely interested in what they're teaching. That makes a world of difference. The other thing I greatly enjoy about this company and product is that they are constantly evolving and adding content. I originally became a Pluralsight customer years back as an individual subscriber. I came back last year with my company when they signed up, and wow. The amount of content that they added since was just amazing. 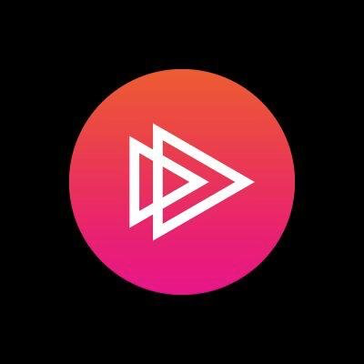 Pluralsight continues to expand, grow and acquire new talent and resources and you can definitely tell that they are committed to making this a great resource. I wish there would be more courses for skill development on SQL database management. This is a very specific request (things like common maintenance and best practice type of content) so it's not much a "dislike" as it is a wish list for future content. Try them out - there's a wealth of content on there currently and they truly are dedicated to growing their content library. We mainly use it to continue to gain skills on the technologies we use in production with our company. We have a Citrix deployment and these courses are a great help to get everyone up to speed with what capabilities we have with using Citrix and what more we may be able to gain from it. The courses are taught in a friendly manner by people that really know their stuff. I started in IT 14 months ago and have learned SO much!! I did CompTIA A+ primarily on Pluralsight and passed within my first year because there is so much material, including screenshots, in-app video capture and so on. A lot of the most popular industry exams have structured / specially created learning paths to get you to the standard you need and there's always additional, recommended material. With the CompTIA exams, that I know first hand, there are links to Kaplan for additional practice exams which then provide additional reading. There's a whole host of people using Pluralsight and if you're stuck, they will respond to questions and help you achieve your aims. Particularly remember this when you're tackling a subject area that you're not familiar with. So many of my colleagues are using Azure more and more and rely on Pluralsight a lot. Individually people pursue their own interests I suppose. I'm already hard at work on the Network+ learning path. "Why I would completely and totally recommend Pluralsight." The vastness of the topics available for learning, the tutors, the ability to test/re-test your knowledge, lead notes, track progress etc. In general, the Pluralsight platform is very flexible, so I greatly enjoy it ! Some of the tutors are very unexciting, and very moody, also, some of them have very strong opinions about using software that just ins't up-to-par in the modern industry, but I do guess that the videos were recorded some time ago. Some of the videos were recorded in years before the 2010's which for the IT industry isn't up to par, as technology and technological focus and tendencies tend to shift once every 5 to 7 years or so, based on my personal observations. Get on here if you're wanting to grow your knowledge in the IT industry, don't you even DARE think about it! IT and infrastructure mostly, however, I find PluralSight and it's wide variety of topics, tutors etc. to be quite a valuable asset in providing said knowledge, which can than latter be used to resolve issues, which in my personal opinion, is more than benefit enough. Training Classes provide more in-depth details. Some courses lacking or none thereof (i.e. AWS, Python, PERL..etc.). Courses with more 'real-world' scenario. Searching for training and/or courses are vague -- would like to have more precise filter. Found some training courses, video and classes can be rather monotonous, however, the structure of those courses usually makes up for them. Pluralsight is a great learning place depending on how much time you're willing to put in and what goals you're attempting to achieve. "Pluralsight is my technology learning platform"
I like the breadth of topics that I can dive into and start learning about. I like that I can follow along with an instructor easily. I like that I may contact mentors directly using the platform. I also like that I can follow instructors that I like and see what other courses that the instructors have published to Pluralsight. The availability of the platform is great for the most part. Pluralsight allows me to learn anywhere on my own terms as long as I have an internet connection or that I have downloaded a course in offline storage. Some technologies do not have any courses yet. Sometimes, the course is not thorough enough with the technology. Sometimes, there are not enough courses on a particular technology but rather just a simple tour or walk-through of a particular technology. Try a free trial and see if you like it. Figure out whether Pluralsight has content on the technologies that you want to learn about and use. Making sure thing are implemented the right way. I am able to learn more about other technologies and then apply what I have learned. It's great when I realize from a Pluralsight course that one particular implementation of something has a flaw in it and knowing what I have learned from the course I can correct that flaw. It also a benefit to use Pluralsight courses as a way to evaluate a particular technology and whether it would solve any business problems. I am able to do that by gathering information from Pluralsight courses as I weigh my decision on whether it solves a problem or not. "Great online learning platform but has the potential to be the best"
The best thing about Pluralsight is that it has wide variety of courses in every field. The courses are really good and explanation by the instructor is makes the hard course seem easy. It also has a good mobile application, which makes the learning more accessible. It also provides really nice feature of assessing ones knowledge for free once you complete your course. Sometimes the course content is not updates in accordance to the certification path that Pluralsight provides. This causes confusion when you are learning for certain certification on Pluralsight. Additionally, the instructors of the courses are rarely active on discussion board to help solve/discuss peoples problem. It's a great platform for you to learn hard things the easy . Pluralsight helps empower our employees to learn and implement the best industry standards. This platform has many certification courses which our employees to take and get certified without spending thousands of dollars for each certification. Plural Sight used to be Digital Tutors and it was part of a learning resource that I have as a college instructor. I find the videos very clear and love the fact that resources were provided with the videos for students to follow along. You can also bookmark and add videos to your learning library. I can also get a record of my training to submit for professional development. Some of the videos are part of a greater project and can be quite lengthy. Suggestion: perhaps they can create some 5-10 mins. video on learning a specific tool in depth; rather than just using it in a project and entering the attributes for the tool; but not knowing why the attributes were changed. Great resource for learning just about any software. Todos los cursos disponibles han sido explicados de manera muy profesional por expertos internacionales de la industria con la ayuda de videos de cursos fáciles de entender. Se puede rastrear su progreso general en el aprendizaje con la opción de evaluaciones previas y posteriores para el módulo del curso que proporciona una mejor idea de dónde se encuentra realmente antes de que comience la fase de aprendizaje y después de la fase de aprendizaje. Siempre puedo repetir cualquier módulo en particular si no está claro para mí en el primer intento por un número ilimitado de veces. Por lo tanto, definitivamente es mejor que las sesiones en el aula donde la repetición no se puede hacer. También ofrecen un certificado para aprobar las evaluaciones con éxito. No hay videos disponibles para el nivel experto. Sería genial ver esa característica también, ya que a veces es necesario mirar los videos para entender el concepto fácilmente. Debido a las diferencias en el entorno, la sección de ejercicios se atasca a veces lo que me confunde y no puedo entender mi error. Al usar XML en lugar de http, obtuve 5 instancias diferentes de un ícono, mientras que debería haber visto solo 1. Por lo tanto, este es un inconveniente importante de Pluralsight. Pluralsight tiene un sólido catálogo de cursos que comienza desde los niveles principiante hasta avanzado. Es ideal para alguien que quiere mejorar su conocimiento sobre las últimas tendencias, tecnologías y lenguajes de programación. Explorar los cursos es muy fácil usando filtros como cursos populares, nivel de experiencia y más. Cursos como Java, Microsoft y Android han sido explicados de una manera muy detallada para que todos puedan entenderlo. He estado usando Pluralsight para aprender el lenguaje de programación Swift, en un nivel de principiante. Con la ayuda de Pluralsight, lo aprendí casi en 20-25 días, que es un tiempo de respuesta muy rápido y también lo uso para actualizar mis habilidades en el desarrollo de iOS. Proporciona tutoriales de video de muy alta calidad y me sorprendió ver la explicación del contenido y su profundidad explicada de una manera muy fácil y simple. "Solution for both exploration and mastery"
There are a lot of topics available on Pluralsight and their instructors are great. I like the format of small chapters and the player lets me listen at a faster speed so I get through the content that I'm familiar with quicker. (I wish I could have fast forwarded some of my college instructors like that...) They have topics that get pretty advanced, which means you can get fairly good mastery on a subject. They probably won't get you the mastery, but they point you in the right direction, and that is huge. They do a really good job of providing content in bite-size chunks with code examples. The technology changes rapidly and I've been impressed with how well they keep up. They're adding new features to help with finding relevant instructional content for the desired skills. Sometimes I've ended up on an outdated training course and didn't notice till halfway through. They do a good job of keeping current, but there's so much content sometimes I get lost in it all. Learning/teaching is hard. If you don't relate or don't understand an instructor sometimes there isn't another source for the same material and you either struggle through or find the learning content somewhere else. Some topics that I would like to learn about have fairly sparse course options, I know they are adding more all the time. There are trials (2 weeks to 2 months) available. I'd definitely give it a trial run to make sure it will fit your needs; i.e. that they have the content you need, that you like the learning format, etc.). Also, it's worth it even to take some of their assessments to see where you measure up on skill levels. They have several levels, even the basic level is awesome, but definitely check out the higher level. I used Pluralsight to brush up on my skills before looking for a new job so that I was at the top of my game for interviews. We started using Angular, and Plurasight was the best intro to that technology that I found. I've also used it to learn some in-depth tricks for using Adobe's programs to get a specific task done as that's not my specialty. "Pluralsight gives me the tools to improve myself at work and at home"
I love the skill paths along with skill IQ. The skill IQs provide me with a way to benchmark myself against the rest of the industry. Then if I don't rank where I want to be, the skill paths direct me to the courses I need to get myself on track. Pluralsight is an incredible resource for those who thirst for knowledge and put in the time to get it. However, Pluralsight is not as interactive as some of its competitors. It is up to you find a way to practice the skills discussed in most courses. This is great for proactive users or for users with access to the materials they need; however, it can render the platform ineffective for those who don't have access to the necessary resources. Pluralsight is where I go when I need a deep dive of a technology that we are considering implementing into our software stack. Pluralsight has allowed me to go from zero to expert and several technologies faster than I used to be able to do the same with a single technology. It also provides me with the tools and resources I need to help my team do the same. "Great Content and Always Improving"
One feature I would like to see is alerting. Prescribe a certain channel or track and set a due date. Project based upon time already trained (progress) versus time remaining to complete. Send an alert to the team member as well as their manager if it looks like they will not complete in time. This will prompt a discussion for remediation. Take note of the different plans available. The team analytics are a HUGE feature to have if you manage teams and will make your life a lot easier when it comes to managing training. Instead of having to train my team myself, or have more senior staff train them I can prescribe their training. This frees up my valuable time and the time of other team members. In business terms I have a greater opportunity cost. The freed up time and cost to have a team member train allows them do accomplish other business objectives. The wide variety of subjects and training videos, the instructors do a great job presenting the information in a fashion I can relate to. The training has helped me to increase my knowledge in C# and helped me on the way to becoming a full stack developer. Need more content in certain areas like Selenium and some of the training videos only glaze over some information that needs to be explained. "Great Platform needing slight updating"
Wide variety of training for IT across all platforms. Microsoft, Linux, Unix, Infrastructure and Development. Great for studying and refreshing skills that haven't been used in a while. The career development classes are interesting as well. Not enough current training topics on Azure and Office 365. Understandably it takes time to create content for new certifications and subjects, however it seems to take well over a year before content for newer technologies is available. High quality training for a great price. The options in training alone are well worth the price. The new Role IQ feature is interesting. Training for advancing the level of my skills. "For Nearly All of Your Learning Needs!" I love the sheer amount of courses and material covered. It's not only technical knowledge but also best practices and soft skills. The site itself is easy to navigate and the UX is great. The analytic tools are also a nifty addition for getting an idea of who in your department is using the resources and confirming attendance. User management is also effortless. Another great feature is the skill reporting which shows you your weaknesses and strengths compared with others. To be completely honest; there's not much here to dislike. For the value and the services being offered, you can't go wrong. Go for it! The value this provides is a no brainer! Pluralsight provides cutting edge resources for many different established and emerging technologies. "Best learning portal I have ever learned from"
I took most of the sessions SQL. Even the complex concepts are explained in simpler ways and easy to understand. most importantly, nothing is left behind. Not all courses are available. I have been looking for courses for retail domain such as SAP IS Retail or Oracle XStore. Could not find anything. I think all these domains should be touched as well. Best in class product. Must utilize it if you want to learn and enhance your technical skills. I am using my knowledge in SQL to handle lot of situations that I was not able to before. "Very good video player, great content but slow navigation"
Diverse content, not only development but also business related. Content is up to date and provides a good view on what is happening in the IT landscape. Not only from a development point of view but also infrastructure, governance and IT-Pro. Navigating through the site is slow, this could be improved. The clicks are OK, but then you are presented with an empty screen and the data comes later. "Best in self-education for computer pros"
Pluralsight has a number of courses on new and emerging computer technologies for everyone's taste - be it AngularJS, Big Data or Machine Learning. Users can count on each topic to have several courses available at every level - from beginner to expert. New courses are frequently posted online. Pluralsight also offers organizational subscriptions - so it's easy to get access to its libraries if several employees recommend this to their employer. And offline course-viewing app allows access to courses with no Internet (e.g. on a plane). The latest update to online GUI has a dark color scheme (non-customizable) which is difficult to view. Also, specific courses may not be available on there. Sometimes Udemy and others have more specialized course selections than Pluralsight. I wish they had course request feature on their website. Pluralsight also partnered with Code School which has some awesome practical courses as well - included with business subscription. But check other resources (like Udemy or Coursera) first - they may be different in the amount and concentration of courses available. Staying on top of rapidly emerging new computing technologies. Utilizing course recommendations and often accompanying websites that course authors provide - makes it easy to learn new courses and communicate with the authors. "Pluralsight courses quality and content is for sure great, but we need quicker updates..."
The presenters are all best in market and the content is very well organized. Pluralsight has very good learning content which guides developers with best practices and latest methodologies. I visit to get trained on technologies like MS Azure and Angular. As we use them in our development day to day these trainings helps me a lot in following best practices and implement the tasks with ease. "Learn Something New Every Day!" I primarily use PluralSight for Adobe design software such as Photoshop and Illustrator. The best and most helpful part about utilizing PS is the "courses" that are arranged by proficiency and difficulty. The courses are chronicled in a way that makes sense to learning the program, and the "teacher" uploads their working files so that you can download and follow along. There isn't anything I dislike - I learn something new every time I open this interface. My company gives us a PS subscription, but I believe they give a free trial. If you're on the fence about using, I URGE you to try the trial. It's a great program. At my job I primarily use Adobe Illustrator. Because my company offers a PS subscription for free, I decided to begin watching courses for this program. I began learning how to execute things differently and more efficiently on day one. At first I was afraid of Illustrator, but it has become such a second-nature tool for me. I like that not only are courses broken down into modules but each module has several main categories and each of those are broken down. The smallest chunks average 5-10 minutes while a module category may be an hour and an overall course is 3-4 hours. This breakdown makes consumption easy when I have other demands for my time. There's an added bonus with downloads of materials, transcripts and skills assessments to help you get a feeling for how well you are retaining the material. My playback sometimes times out if I've had to pause for a while and I have to refresh and navigate back to where I think I left off. Good refresher information on Scrum essentials and learning new skills and concepts with Project+ and PMI-ACP courses. "Got me to where I want to go"
The variety of instructors amongst the variety of content to absorb, there is something for everyone. Whilst some may be less interesting than others, some instructors make the learning not just fun, but easier. Some videos seem old or outdated and there seems to be a large number of instructors that are very monotonous - I don't know if there is a way to ensure that instructors can be lively when making their content or at least some old videos renewed? IE - Trainsignal videos. "Fantastic to learn at your own pace." I like the fact I can pick from a range of topics on a whole bunch of things, whether it is C# or integrating web application pipelines. The interface is easy to use and quite useful to come up with my own course structure. I dislike the cost. For a personal user it is quite expensive, but with company backing it is a fantastic resource. Make sure you can afford it. users will definitely see benefit from it, as there are a range of topics that courses are provided for. Helps me learn about any technology shortcomings I have. If there is a technology I haven't used yet, it is there to help cover that. "Easy way to start learning new technology"
I have just started a new position and this will provide me the basic education I need to get started and there are advanced lessons for later in my position of a Solution Architect. "Timely expanding business-relevant courses from experts"
New material, growing library, personable, knowledgeable instructors, and most courses offer direct access to the instructors via message-boards for the class. Pluralsight is not "inexpensive." The benefit to me in my career, however, is immeasurable. You may be able to find discounted trial enrollments. These cannot be extended to full ongoing subscriptions, so you may lose bookmarks, favorites or course progress if you switch accounts along the way. But get in, get used to the presentations, and immerse yourself in the rich content available & watch for catalog additions to this timely resource. Integrating Salesforce with other systems, learning about API standards such as Swagger, learning development on the force.com platform, learning node.js. * We monitor all Pluralsight reviews to prevent fraudulent reviews and keep review quality high. We do not post reviews by company employees or direct competitors. Validated reviews require the user to submit a screenshot of the product containing their user ID, in order to verify a user is an actual user of the product. Hi there! Are you looking to implement a solution like Pluralsight?